An insurer will pay an monthly LTD benefit. The quantum of that LTD benefit depends on the wording of your policy along with your pre-disability income. We commonly see LTD polices which will pay out a range of between 60-80% of the claimant’s monthly pre-disability income. The duration of the LTD benefit also depends on the wording of the policy. Our lawyers commonly see policies which will pay for benefits up to the age of 65. Other policies may only pay for a maximum of 5 years. It all depends on the wording of the policy. The most important part of any LTD policy is the definition of disability. How sick, injured or hurt do you have to be in order to qualify for LTD benefits? Total Disability will not exist unless You are under the Regular Care of a Physician. Working Disability means that You are unable, due to the Injury or Sickness, to perform the substantial duties of Your Regular Occupation, but choose to engage in another gainful occupation. Working Disability will not exist unless You are under the Regular Care of a Physician. This definition of Disability may be used during the Elimination Period and for up to 5 years following the completion of the Elimination Period, but in no case beyond your 65th birthday. d) the use of both hands, or both fee, or a hand and a foot. The provisions of this paragraph will operate regardless of Your ability to engage in Your Regular Occupation. The Regular Care of a Physician is not required. However, if You were scheduled to resume gainful employment but are prevented from doing so because of Injury or Sickness, the regular definition of Total Disability will be used from the date You were scheduled to return. Your Regular Occupation would then be considered to be the employment you were scheduled to perform. Written proof demonstrating that employment was to resume will be required to determine eligibility for subsequent benefits, including a description of the substantial duties of that employment. One policy. Three ways to claim disability. Keep in mind that most LTD policies contain a provision therein whereby the definition of disability changes at the two year mark from using your “own occupation” as the benchmark for work; to “any occupation” as the benchmark for work. “Any occupation” means that if you can do ANY JOB (like work in a toll booth as a parking lot attendant or work at a data entry job, or work as a greeter at a store), then you won’t qualify for disability insurance. Keep in mind this ever changing definition of disability at the two year mark as this is a common reason why many people get cut off LTD benefits. All of this evidence can make, or break an LTD Claim. Insurers need this information in order to understand and evaluate your disability. In a perfect world, this evidence is cross referenced with the definition of disability contained in the LTD policy. If your illness or injuries meet that definition, then you should be found disabled and your LTD benefits ought to be approved. Unfortunate, the world of LTD benefits is not perfect. Many claims get denied for reasons that even some LTD lawyers don’t understand. Perhaps the adjuster on your case was just having a bad day; or they don’t read your doctor’s records the same way that you do. It could be that your LTD insurer doesn’t believe in fibromyalgia, chronic pain, depression, or anxiety. The LTD insurer may take a hard line on these cases because they don’t believe that these types of injuries or illnesses even exist. Unfortunately, these things happen and our law firm sees it first hand. 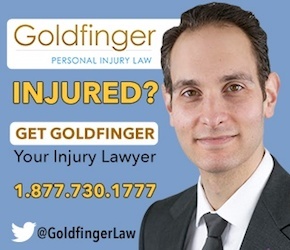 If this sort of denial sounds familiar, call Goldfinger Injury Lawyers at 1-877-730-1777. Get us working for you so that you can get the LTD benefits which you deserve.